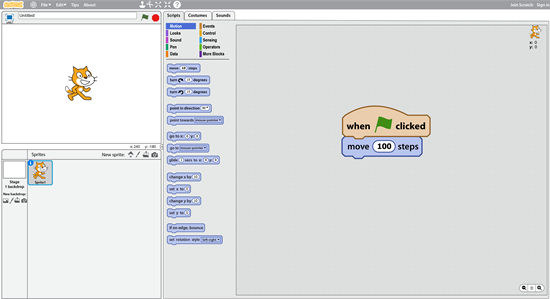 Scratch is the popular, free program that introduces programming to kids using graphical blocks. 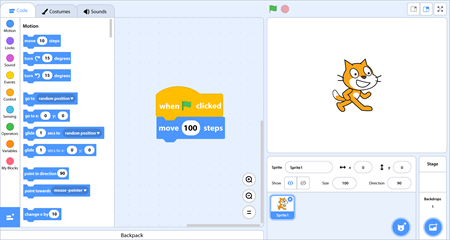 The MIT team who created Scratch have announced a new version – Scratch 3.0. It’s expected to be out in a Beta version in August and fully launched in January 2019. 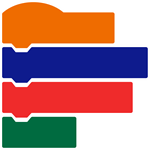 At TechnoKids, we’ve been working with a Preview version to design TechnoCode and are excited to see some great new updates. 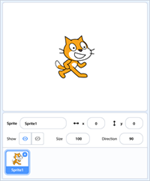 The new Scratch 3.0 editor is clear and easy to use. Often the script area can get crowded if there’s lots of code and it’s difficult to organize on a small screen. Happily, now there’s a scroll bar so you can spread groups of code apart and arrange them without worrying about running out of space. The coding blocks are bigger in the new version. This was done to help those who working on tablets so that’s it easier to select and drag them, but I find them easier to find and move on a desktop computer as well. And if you don’t want to use the Blocks Palette to pick a block category, you can scroll through all categories of blocks in a single list. 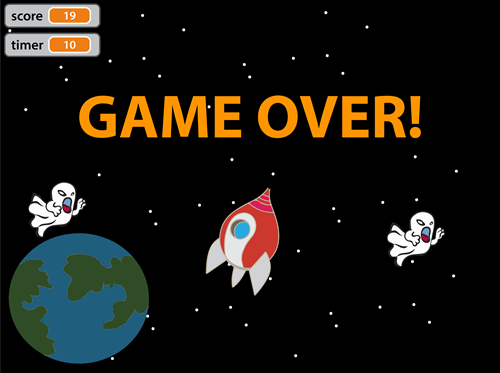 To see or change the name, features or information such as size, location, and direction of a sprite you had to press the i on the sprite icon in Scratch 2.0. In the newer version, all of this information about the sprite is clearly visible right below the stage. 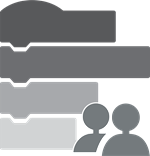 You can easily make changes or refer to it at any time as you’re working. Now it’s easier to find sprites with multiple costumes. In Scratch 2.0 you have to click on a sprite and see if, under the name, there’s a number of costumes listed or if it there’s only one. In the newer version, hold the mouse pointer over the Choose a Sprite icon and select the magnifying glass to open the library. By just holding the mouse pointer over a sprite in the search gallery, the sprite is animated through all of its poses if there are more than one. You can actually view the various costumes rather than just seeing a number. The new sound editor has been changed. Recording and trimming are easier. New categories in the sound library include Space, Sports, and Wacky. What we especially like are the new sound effects that you can apply – Echo and Robot. Kids will have lots of fun being creative with these sound effects. 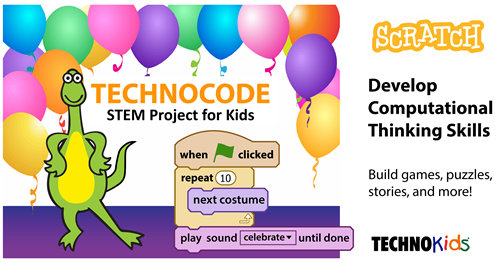 TechnoCode, a Scratch project, has programming lesson plans. The activities support STEM education. 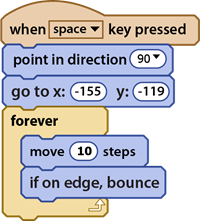 The instructional materials include a FREE upgrade to Scratch 3. 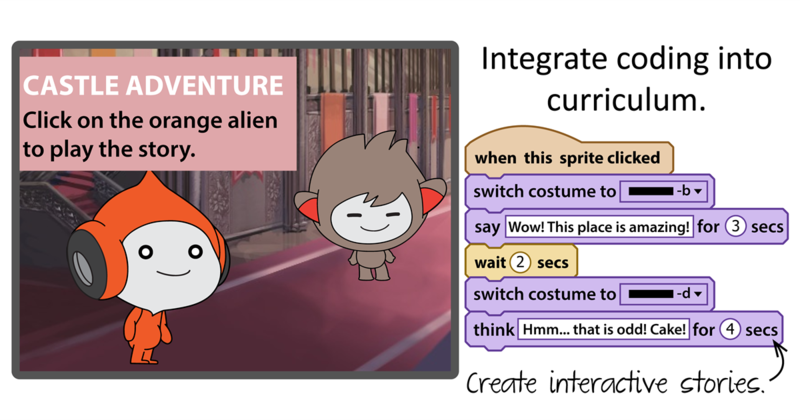 Introduce students to programming concepts using Scratch.